Our range of products include winter wear ladies suits, pashmina suits, pashmina kurti, winter wear designer kurti, mumtaaz pashmina suits and woolen kurtis. We are engaged in manufacturing, supplying, wholesaling, trading and exporting a wide collection of Winter wear Ladies Suits. We are one of the eminent organizations, engaged in manufacturing, supplying, wholesaling, trading and exporting a collection of Pashmina Suits. 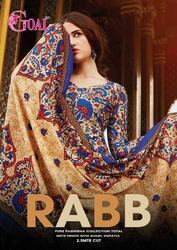 These Latest Bollywood Suits are manufactured utilizing modern machines and latest technology to ensure that final output meets with international quality standards. We also pack our Latest Bollywood Suits using quality material to ensure safety during transportation. Ours is an eminent organization, which is engaged in manufacturing, supplying and exporting Pashmina suits.Extensively demanded to be worn on festivals, wedding ceremonies and birthday parties, our offered kurti is widely appreciated. Further, the offered kurti is packed properly to ensure safe transit at the clients' end. We are well acknowledged for offering a smartly designed range of pashmina kurti . Our Party Wear Casual Suits is stitched using the best quality georgette fabric and the newest technology. For its exclusive patterns, offered Party Wear Casual Suits is highly cherished by our valued clients. Provided Party Wear Casual Suits is comfortable in nature. Our clients can buy offered Party Wear Casual Suits from us at competent industry relevant price. Winter Wear Ladies Suits are generally very attractive. 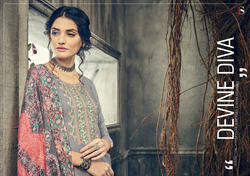 Suruchi Creations has closely followed the emerging trends and fashionable indian Winter Wear Ladies Suits. we have carved a niche as one of the leading Winter Wear Ladies Suits exporters from India. Well-known in the industry as an eminent manufacturer, supplier and exporter, we are engaged in offering a wide array of Winter Wear Ladies Suits. Can be easily washed, the suits are made using quality-assured fabrics that are checked on various parameters. In addition, these suits are packed properly making the same apt for gifting purposes. We having our manufacturing firm of ladies garments. We are dealing in wholesaling of Winter Wear Designer Kurti . Acknowledged in the industry as a reliable manufacturer, supplier and exporter, we are engaged in offering a comprehensive range of Woolen Kurtis. The offered kurtis are made using quality-assured woolen fabrics and advanced weaving machines. Additionally, these kurtis are available in different colors, patterns and designs at industry leading prices. Suruchi Creations offers the latest style of Bridal Churidar winter Suits and bridal Winter Ladies Suits along with Anarkali winter suits or traditional Winter Ladies Suits which are perfect for Wedding events and other traditional occasions. We, at Suruchi Creations offer beautiful Ladies Suits for Winter. These Ladies Suits for Winter have intricate embroidery and beautiful hand work on them and are available in various colors. They can be worn on various occasions like weddings and birthday parties,etc. We, at Suruchi Creations offer beautiful Winter Ladies Suits. 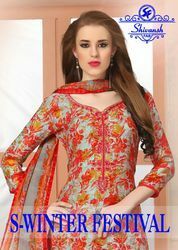 These Winter Ladies Suits have intricate embroidery and beautiful work on them and are available in various colors. They can be worn on various occasions like weddings and reception parties,etc. We, at Suruchi Creations offer Winter Wear Suits for Ladies. 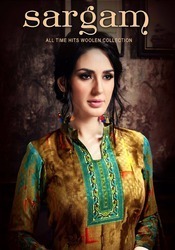 These Winter Wear Suits have intricate embroidery and beautiful work on them and are available in various colors. They can be worn on various occasions like weddings and dinner parties,etc. Our company is instrumental in fabricating and offering a superior quality array of Formal Pshmina Suits. These suits are designed by using superior quality fabrics and advanced machinery in compliance with the current fashion trends. These offered suits are available in a variety of colors, size, prints and deigns as per the client demands. 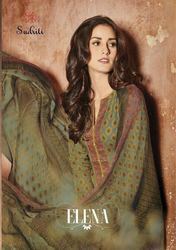 Our array of Formal PashminaSuits can be availed from us at affordable prices. Looking for Winter Wear Ladies Suits ?